Additional Info: The herb is applied in Ayurvedic medicine and native to many Indian areas. Active Components: The active components are represented by the following substances: resin, minor percentage of alkaloidal content, fixed oil, and an essential oil. Used For: The plant is characterized by a special smell, due to which reason it’s applied as an aromatic substance. Additionally, it can fight bacteria, helminthes, fungal infections, boost urination and perspiration, fight constipations, and enhance sexual desire. 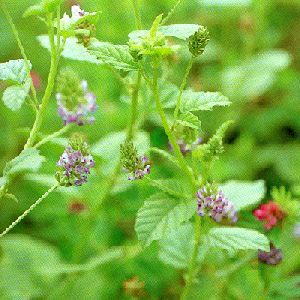 The plant also serves a good remedy for skin inflammations and diseases. In Ayurvedic medicine the herb is applied for treating leprosy, due to which reason it is called Kushtanashini, which means ‘leprosy destroyers’. As a leprosy treatment the plant is applied both locally and orally. Seed powder is a variant for internal use, whereas an ointment or a paste is applied topically. Used in form of a special soap, the remedy is applied for psoriasis and leucoderma. It produces a positive effect on the skin, making it natural-colored, and eliminating the white patches on it. Nails and hair can also benefit from the herb. Various skin inflammations and diseases, like psoriasis, leprosy, leucoderma and so on may be addressed by applying a combination of chaulmugra oil (2 parts), lanoline (2 parts), and seed extract of babchi (1 part). The combination is applied orally and topically. The quantities of included components can be enhanced. As an ointment the oil is applied two times a day. Additionally the herb is applied to treat insect and poisonous snake bites. Babchi is also used in perfumery industry due to its specific aroma. Preparation and Intake: If taken orally, the extract powder is used in a dose of 5 grams, two times a day, before having meals. Add some honey or coriander to make the taste more acceptable. Used as a topical remedy, as well. Safety: Caution! If used in pure form the plant may enhance Pitta. In case of fluid stagnation, the plant is not recommended. Not used in a combination with licorice root. The components of essential oil are different depending on the species. The absolute majority of patients can experience the irritation of skin patches in leucoderma. The minority, though, can be greatly sensitive to the herb extract, for instance, develop skin inflammations, like blisters. Due to this reason, the concentration and the dose you apply should be measured according to your skin’s sensitivity, in order to prevent any inflammations.